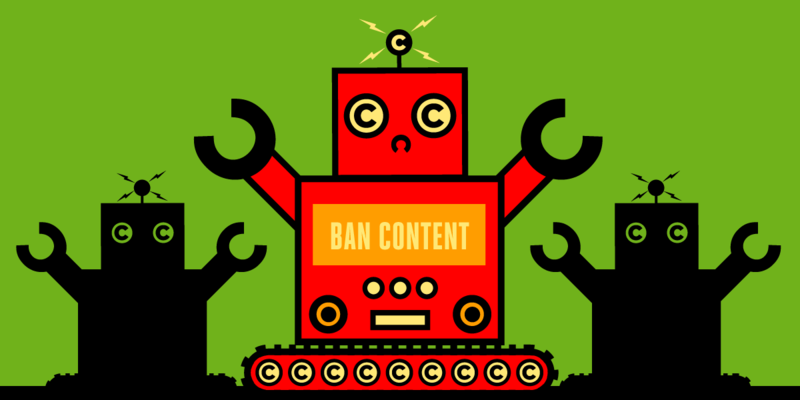 For those platforms that do establish upload filtering, users will find that their contributions—including video, audio, text, and even source code—will be monitored and potentially blocked if the automated system detects what it believes to be a copyright infringement. Inevitably, mistakes will happen. There is no way for an automated system to reliably determine when the use of a copyright work falls within a copyright limitation or exception under European law, such as quotation or parody. The upload filtering proposal stems from a misunderstanding about the purpose of copyright. Copyright isn't designed to compensate creators for each and every use of their works. It is meant to incentivize creators as part of an effort to promote the public interest in innovation and expression. But that public interest isn't served unless there are limitations on copyright that allow new generations to build and comment on the previous contributions. Those limitations are both legal, like fair dealing, and practical, like the zone of tolerance for harmless uses. Automated upload filtering will undermine both. What began as a bad idea offered up to copyright lobbyists as a solution to an imaginary "value gap" has now become an outright crisis for future of the Internet as we know it. Indeed, if those who created and sustain the operation of the Internet recognize the scale of this threat, we should all be sitting up and taking notice.